For many years, my husband and I budgeted with a homemade spreadsheet, some cash envelopes, and a bunch of savings accounts. I knew I had a clunky budget system, but I didn’t know of any viable alternatives. Are you having trouble making your budget work in real life too? For the last few years, I’d heard about the software called You Need a Budget (YNAB) and two years ago, I decided to give it a try. It was a lot of work to set up, but once it was running, it was incredible! I felt like someone had created a tool to help me do what I’d been trying to do on my own, but it was SO MUCH BETTER! A side effect of using YNAB was that it allowed my husband to be more involved with the budget. This has really helped relieve some stress about money management in our marriage. Our previous homemade system was too complicated and I had to manage it all myself, making my husband like he had to ask permission to spend money. Is your current budget causing marital stress too? Although I adore YNAB, it’s not perfect or free, so I decided to check out other options. 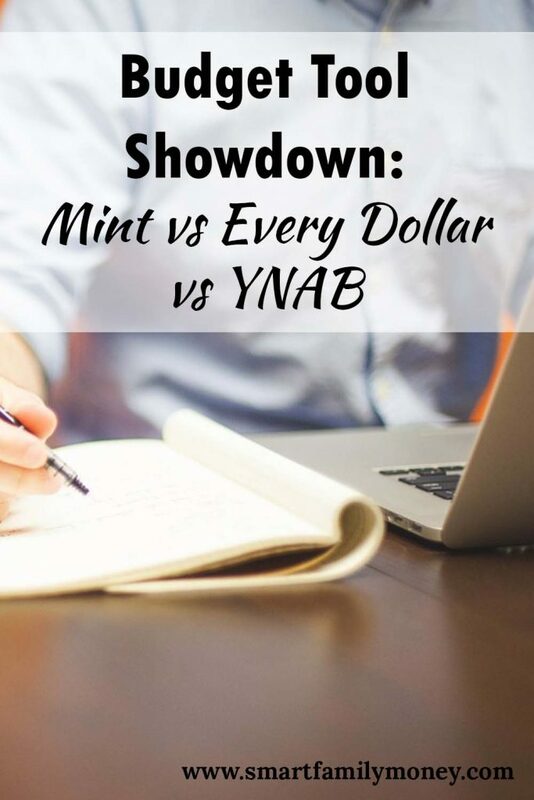 Two major competitors to YNAB are Mint and Dave Ramsey’s Every Dollar. How do they stack up to YNAB? There is no free version after the 34-day trial period – cost is $6.99/month, billed annually as $83.99/year. YNAB now offers a referral program, but I’ve been spreading the news about YNAB for a long time because I just believe it’s that good. Now if you subscribe to YNAB through my link, both you and I can get a free month of YNAB! Go now to sign up for the free YNAB trial through my link. I left the $ numbers off of the chart, but you can see that the change has been very significant. It’s certainly more than $83.99/year! I think it’s pretty obvious that I’m still a huge fan of YNAB and don’t plan on switching my budgeting software. I will leave my account open with Mint, though, as I found the reports interesting as a way to look at my overall financial picture. Every Dollar has almost nothing going for it compared to the other two. I think the only reason Every Dollar has any popularity is that it has Dave Ramsey’s name on it. 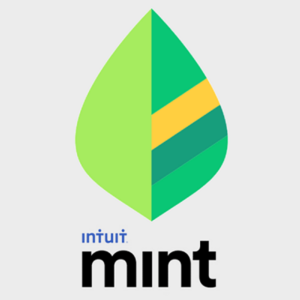 If you want free and easy, Mint has a lot of great tools. 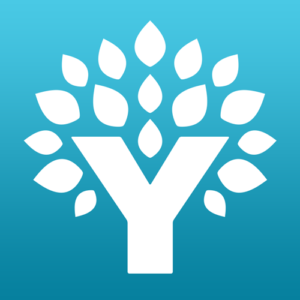 If you want robust, fully-featured budgeting software, YNAB is the way to go. For someone just beginning to budget for the first time, I’d recommend starting by signing up for a Mint account and playing around with the reports. If you use your debit or credit card for most purchases, it’ll be easy to get an idea of where your money is being spent every month. You can also get an overall picture of your debts and total net worth. Next, I’d take that information about your spending habits and use it as a starting point for a budget in YNAB. Once you get through setting it up and understanding how it works, YNAB makes everyday budgeting a breeze. It’s so easy and fun that I often find myself wishing I had more things I could play around with in YNAB! Don’t believe me? Give it a try and you’ll see! Use my referral link to get an extra free month of extra month of YNAB through my link. Do you use these tools? Did I miss any pros and cons? Comment below! Awesome overview of these tools, Cindy – thank you! I love how you distilled them all down to a few bullet-points. It’s kind of tough to investigate software like this without actually giving it a try, but I feel like your review really puts it all into focus for a tech dunce like myself. Nice work, and thank you! I’m glad you found it helpful. I know I always get overwhelmed by choices like these and I appreciate it when someone can simplify it. Thanks for stopping by! Thanks for the comparison, Cindy! I’m also a big fan of YNAB and how nice it is to use, especially for anyone who’s never had a budget. I’m using version 4, which is a one-off payment, but there’s also the web app version, which is newer and a recurring payment – that was a little disappointing, as I expected the newer version to be free for their current customers… Oh well! Yeah, it’s unfortunate that the new web version is a subscription service, but I understand that YNAB needs to have a sustainable business model if they’re going to keep producing such awesome software and educational materials. I feel like paying for it is supporting a worthy cause. Personally, I purchased version 4 last fall, a few months before the release of the web version, so I did get a free year of the new web version. I switched over in January and I think it’s a wonderful system. i really got used to Finance Works app and now my credit union has switched , do you know of something similar to the Finance Works app? thanks for any comments , i dont really want to pay an annual fee to keep track of my money. I am sorry that I am not familiar with Finance Works. I understand not wanting to pay an annual fee, but maybe give YNAB a try. You may find it is life-changing! Hi! My name is Charles from Alamogordo NM. I am a retired 28 year vet of the of the US Air Force and am currently working on a ministry degree. I love to help people … that is my calling. I have a YNAB question (I am not tech savvy). How does the software help me budget. For example, if I make a purchase at my local Walmart, is the software able to divide/separate my purchases i.e., groceries from clothing items etc. or will I have to do that manually myself? Thank you in advance and God bless! Hi Charles, thanks for the question. YNAB is simply a tool for YOU to track your money and make decisions about what you want to use it for. You have to be actively involved. For your example if a Walmart transaction, you would need to enter it into the app and tell it which categories that transaction comes from. Those categories can be whatever make sense to you. Some people might have a “general shopping” category that covers all of the Walmart items. Others may choose to separate it into groceries, toiletries, household products, pet food, etc. I hope that helps! 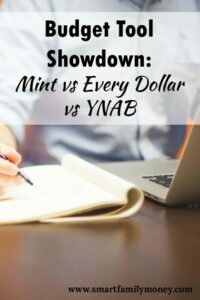 Definitely go check out the YNAB articles and videos if you want to see more.